I think this class has set a standard for quality professional development that will be hard to beat in the future. – Mara Kaminowitz, GISP, GIS Coordinator. Easily one of the best workshops I have ever attended. Sam Stanton, GIS Coordinator, Queen Anne’s County Information Technology. I had a great time at the Baltimore Metropolitan Council, leading a workshop on Spatial SQL using SQLite and SpatiaLite – thank you to Mara Kaminowitz for organizing it! There were 25 people in attendance, and I just received the evaluations. To cut to the chase, you can see the evaluation results here. Over 95% said the workshop was better than other GIS training they received. On a scale of 1-10, 95% of the attendees rated the course an 8 or above. 95% said they learned something new in the workshop. 100% said the workshops would help them in their careers. 87% said they would apply these skills to their job. g that the attendees valued the training enough to pay $250 for a full day course (opposed to $600 for most GIS courses). This means it is possible to offer really good, low cost training to GIS professionals. Keep an eye out on this, as I am very likely to take these training classes on the road. The comments the participants provided were great – in fact, the response was slightly higher than the response at the TuGIS conference. One of the most valuable pieces of this workshop was how it drove home the fact that Spatial SQL is not as intimidating as it may seem. Going over the basic SQL functions and how closely it reads to standard english was very helpful in driving this home. Gave me a much stronger foundation for SQL, the instructor was extremely knowledgeable and presented the information well. I am so happy to have a stronger understanding and feel this will help me immediately in my job. Dr. Lembo was very effective in showing the analytical framework behind the use of SQL in the development of databases, geometric layers, and even modeling. He was really good in putting it all together; I had little exposure to SQL before the class, and now I feel confident on how to approach it to solve problems I encounter in my job. Recently my students and I wrote a paper on geocoding with different Python tools here. While that was really fun, it does take a bit of work to write the code. As you know, I’m partial to doing anything I can with SQL. My attempts to build geocoding into PostgreSQL has not been very successful, although my friends who use Linux versions have had better success. So, I was really happy to see that Radian built in many geocoding servers into their product, and the functionality is accessible via SQL. The following video shows how to use the Google geocoder through Radian, and I’ve added a little wrinkle: some of the locations are straight addresses, while others are intersections. Using a very simple CASE statement, the addresses geocode effortlessly. Check it out, and let me know what you think. if you are interested in learning how to use Radian Studio, check out http://www.gisadvisor.com where I have 9 different training courses in geospatial technology. 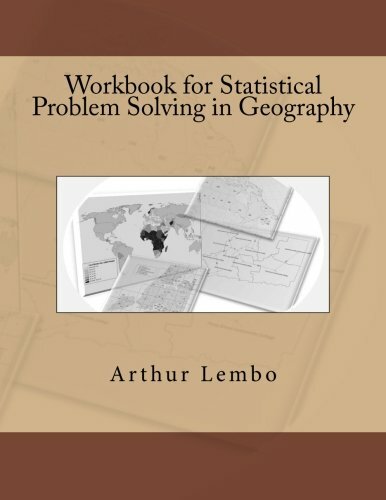 I was just recently sent a review of my book An Introduction to Statistical Problem Solving in Geography. If you are thinking about a good introductory text on quantitative geography, this review will give you a good idea of what the book is about. Also, for a limited time, you can get my online version of the course for $30 here. That’s 12 hours of lectures, explanations, and hands-on demonstrations – these are similar to the lectures I give in my University course (although somewhat abbreviated). So, if you want apply quantitative geographic theory in your GIS work, this is a great way to learn. Someone just retweeted my presentation from Scotland last Fall. I spoke on creating a QGIS plug-in for parallel processing and terrain analysis. I had a fantastic time at @GISUK. Here is a link to the talk. Today I want to introduce you to another one of my students, Meghan Murphy. Meghan is an outstanding student, and one of the top undergraduates I have ever worked with (I know, I say that a lot, but they just keep getting better and better). Even as a Sophomore, Meghan was always helping other students out, even the Seniors – students would seem to wait for Meghan to organize everyone together to study for upcoming exams. She also has an innate ability to work with GIS, and pick up new things: one day she has never programmed in Python, and the next day, she has a couple of hundred line Python script created and running in ArcGIS! So, I was so happy when Meghan said she wanted to take a special course in Open Source GIS that I was offering this semester. 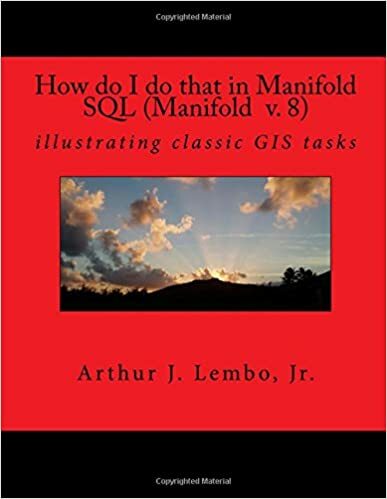 We covered QGIS, Postgres/PostGIS, GDAL, and Geoserver. For her final project, Meghan decided she wanted to compare the cartography capabilities of ArcGIS and QGIS, and make a video about it (maybe she was inspired by my videos, or maybe she just figured after watching Lembo’s videos, how could I do worse!). Whatever her reason, like everything else she does, this turned out great, especially since she had never done a live tutorial like this. So, I encourage you to watch the side-by-side comparisons for creating a basic cartographic product in both ArcGIS and QGIS. It’s about 40 minutes long, but worth every minute: I found that I learned some things I hadn’t known regarding some cartographic tools. And, on that note, I’ll have more videos from my undergraduates shortly (some built web maps, others built an enterprise GIS with Postgres. 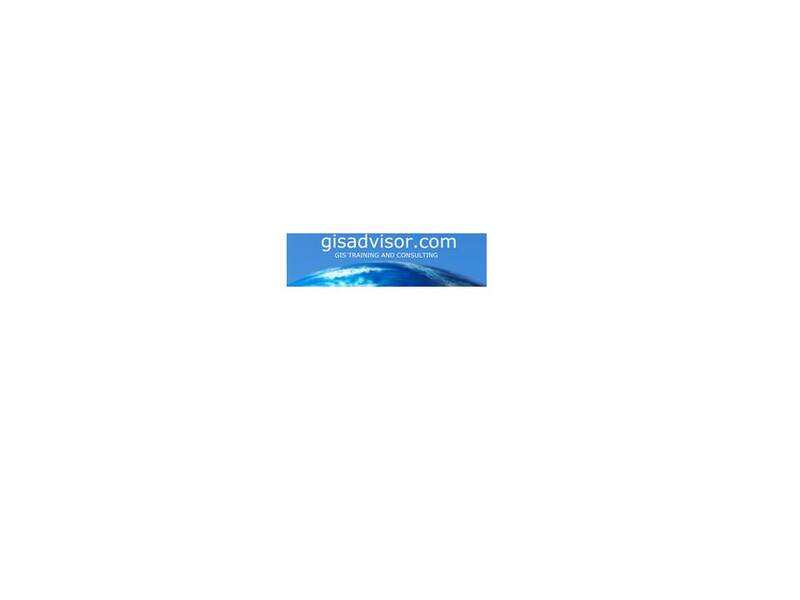 If you want to learn more about open source GIS, Python programming, Spatial SQL, or Spatial Statistics, check out my online courses at www.gisadvisor.com.